Every week, during the interview portion of the podcast, we feature a guest, Catholic and sometimes non-Catholic, that offers an interesting perspective on faith, culture or the news. 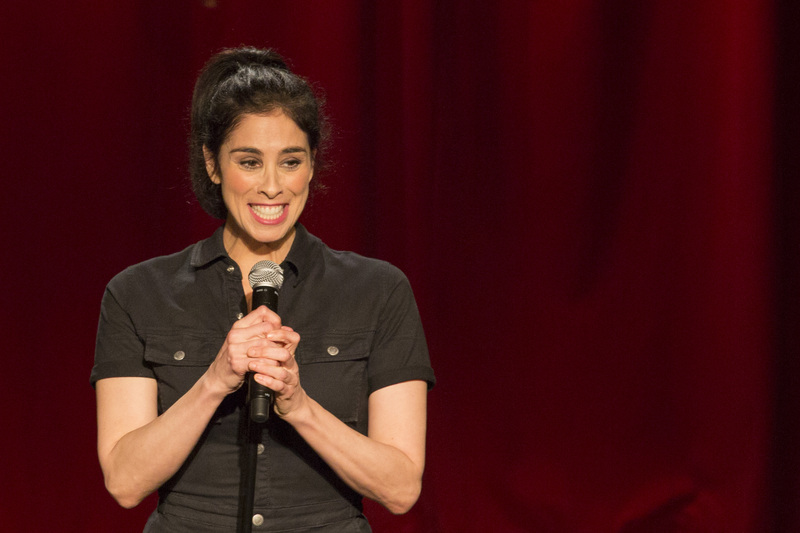 This week, we welcome Sarah, a comedian, actress and host of “I Love You America with Sarah Silverman.” We discuss why she loves Jesuit priests even as a non-believer, whether or not hell exists and why the world desperately needs Mr. Rogers. Before our conversation with Sarah (which starts at 12:15), we discuss and analyze this week’s top Catholic news:this year’s NCAA tournament champions, Villanova and Notre Dame; and Joan Roanhauer, the first woman to lead Jesuit Refugee Services. We also discuss Pope Francis’ latest Easter message, in which he calls for an end to conflicts in the Holy Land and Syria. April 4 also marked 50 years since the assassination of Rev. Martin Luther King, Jr. in Memphis. We talk about Dr. King’s legacy, his influence on people like Pope Francis and the whitewashing of his beliefs. We also discuss the killing of 22-year-old Stephon Clark in Sacramento. Please tweet us @jesuiticalshow or send us an email jesuitical@americamedia.org and let us know your reactions to our conversation with Sarah. And please leave us a review on Apple podcasts and tell your friends about the show. Lent is over! Easter is here! So we celebrate with prosecco.